can provide for us, if we only let it. that explains the synergy of the Tea3 powerful ingredients: caffeine, L-theanine, and epigallocatechin-3-gallate (EGCG). The names may be tricky but the science isn’t, and in this article I will explain what Caffeine is and how they work together to increase your metabolism, keep you feeling satiated, and give you more energy without setting your nerves on edge. It is difficult to separate Tea3’s ingredients in terms of each one’s influence on weight loss, since each has an effect on the other. But to help you understand how the overall process works, I’ll give it a try in simple nonscientific terms, because I need things made simple for me to understand them and then incorporate them into my life. Let’s start with caffeine. Caffeine is a chemical found naturally in more than sixty species of plants, including coffee, tea, and cocoa. Mother Nature put caffeine in plants as a defense from insects consuming the leaves; caffeine is very bitter. Too much caffeine can be detrimental to your health. However, caffeine is not all bad. It is a natural stimulant that has been shown to boost the process known as thermogenesis, or the generation of heat in the body. This process is at the center of weight loss; it is the way in which fat molecules are “burned.” Thermal energy is divided into calories; the more energy that is expended, the more calories you will burn. This is why you find caffeine in most of the over-the-counter diet supplements on supermarket and drugstore shelves today, many of which have extremely unhealthy side effects. 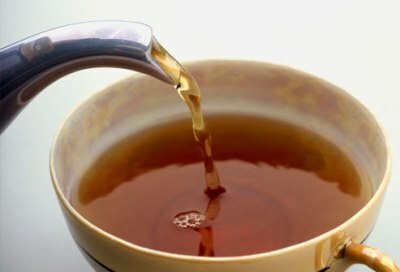 In another study published in the American Journal of Clinical Nutrition, this one in 1999, scientists studying the use of green tea extracts concluded that tea not only promoted thermogenesis, but that unlike caffeine alone, which arouses your nervous system and speeds up your heartbeat, the use of green tea extract was “not accompanied by an increase in heart rate.” To summarize these two studies, the consumption of tea will increase the burning of calories and promote weight loss without increasing your heart rate. Dr. Leroy Rebello is a well established and internationally qualified anti-aging consultant and cosmetologist from Mumbai and a director in Eternesse – the best weight loss centers in Mumbai. He lectures in reputed Institutions such as AIIMS, JIPMER and other Medical Colleges around India. With over 10 Research Papers published in Indexed Journals, Dr. Rebello is continuously researching and developing new treatments and cures. This entry was posted in Antioxidants, Blog, Weight Loss and tagged American Journal of Clinical Nutrition, Caffeine, Camellia sinensis, Tea, Thermal energy, thermogenesis, Weight Loss Ingredient, Why drinking tea is good for you. Bookmark the permalink. Tea is good but not in empty stomach, not with a lot of milk making a kheer out of it. Tea is good if it is concocted with tea-friendly materials, let’s say for example ginger. Is there any limit how many times one should take tea? A nice post. I think 3 times a day is good. More than that it would just wire up your nervous system and bring on some rather unwanted side effects such as excitability, insomnia, restlessness etc. One has to remember that tea contains caffeine though in less amounts and moderation is the key. Even eating 5 apples a day is not good – Moderation is the key to everything in life. So there you have it.